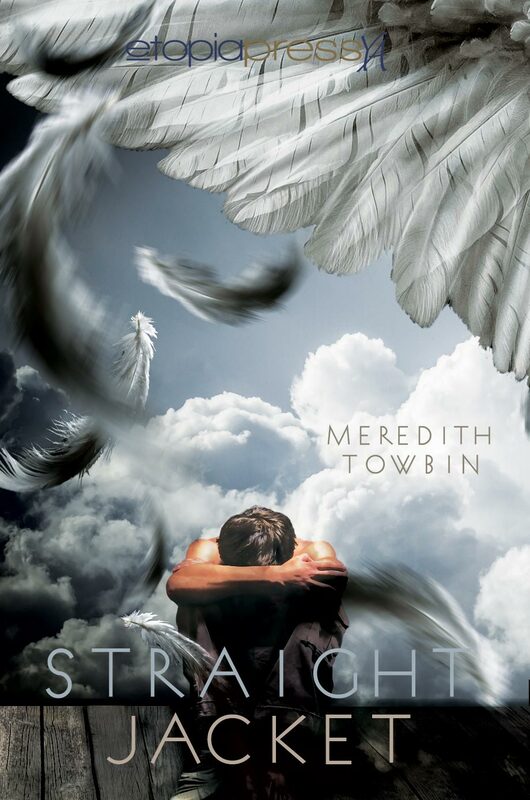 There’s an interesting story behind the acquisition of Meredith Towbin‘s debut novel, STRAIGHTJACKET. Since it was released yesterday (Feb 15th), it seems like a good time to share. I began my publishing career a couple of years ago as an editorial intern. A few months into that position, I read Meredith’s manuscript (which had a very different title, back then) and fell in love with Anna and Caleb. I was sold. As is the nature of the (publishing) beast, not all good books are offered contracts. Meredith and her agent moved on; I bravely soldiered on through the slush (it was rough at times, but it was also a job I could do in my pyjamas. I shouldn’t complain. Ahem). A year or so later, I moved to Etopia Press to work exclusively with YA fiction and to build my own roster. I acquired my first few authors the usual way–they approached us with their manuscripts, we loved them, and we offered contracts. I still thought of Meredith’s novel sometimes; Anna and Caleb had stuck with me as complex, original characters always do. One might say they even haunted me a little. A Google search showed no deal reports for the manuscript and so I decided to email the agent and see if it was still available. A week, maybe two weeks passed. I assumed the manuscript was off the table. And then the agent replied. A few weeks of negotiation later and we had a deal for the novel that became STRAIGHTJACKET. This, readers, is a narrative so poignant that it hung around my brain until I was in a position to hunt it down and offer on it myself. He swears his mission is to help Anna break free from her parents’ control and fulfill a destiny she can only dream of. The doctors, however, are convinced that Caleb is delusional.